Danilenko’s recollections of the early period of his career are in a chapter of the book, Ultrananocrystalline Diamond: Synthesis, Properties and Applications edited by Olga A. Shenderova and Dieter M. Gruen, published in 2006. Another chapter in the book covering the history of Russian patents related to nanodiamonds documents the fact that Danilenko’s centrt at the Institute developed key processes as early as 1963-66 that were later used at major “detonation nanodiamond” production centers. Danilenko’s major accomplishment, according to the authors, has been the development of a large-scale technology for producing ultradispersed diamonds, a particular application of nanodiamonds. The technology, which was later implemented by the “ALIT” company in Zhitomir, Ukraine, is based on an explosion chamber 100 square meters in volume, which Danilenko designed. The IAEA report states that the “foreign expert” was in Iran from 1996 to about 2002, “ostensibly to assist in the development of a facility and techniques for making ultra dispersed diamonds (UDDs) or nanodiamonds” That wording suggests that nanodiamonds were merely a cover for his real purpose in Iran. documents. Israeli foreign ministry and intelligence officials told journalists Douglas Frantz and Catherine Collins about the special unit of Mossad dedicated to that task at the very time the allegedly fraudulent documents were being produced. ← Who Is Judge Richard Leon? Hundreds of North Korean nuclear and missile experts have been collaborating with their Iranian counterparts in more than 10 locations across the Islamic state, a diplomatic source said Sunday. The revelation lends credence to long-held suspicions that North Korea was helping Iran with a secret nuclear and missile program. It also represents a new security challenge to the international community as it seeks to curb the nuclear ambitions of Pyongyang and Tehran, and thwart trading of nuclear and missile technology. North Korea has long been suspected of being behind nuclear and missile proliferation in Iran, Syria, Myanmar and Pakistan. “Hundreds of North Korean nuclear and missile engineers and scientists have been working at more than 10 sites (in Iran), including Natanz and Qom,” the source said, citing human intelligence he declined to identify for security reasons. The source would not allow the specific number of North Koreans to be published, citing the sensitivity of the intelligence, and would not give further details on the extent of the collaboration. The source spoke on condition of anonymity because of the delicate nature of the issue. Repeated attempts to contact the Iranian embassy in Seoul by telephone were unsuccessful. Natanz is home to a fuel enrichment plant and a pilot fuel enrichment plant, the International Atomic Energy Agency said in a report on Iran’s nuclear program published last week. North Korea — which conducted two nuclear tests in 2006 and 2009 — revealed a year ago that it is running a uranium enrichment facility. Highly enriched uranium can be used to make weapons, providing Pyongyang with a second way of building nuclear bombs in addition to its existing plutonium program. Both North Korea and Iran are under United Nations sanctions for their nuclear programs. The North has expressed interest in rejoining international disarmament talks it walked away from in 2009. The source’s information came days after the U.N. nuclear watchdog expressed “serious concerns” on possible military dimensions to Iran’s nuclear program. The source with access to intelligence on the years-long weapons collaboration between Pyongyang and Tehran said the North Koreans are visiting Iran via third countries and many of them are being rotated in every three to six months. The North Korean experts are from the country’s so-called Room 99, which is directly supervised by the North’s ruling Workers’ Party Munitions Industry Department. The room, which can be translated as office or bureau, is widely believed to be engaged in exports of weapons and military technology. South Korea’s top spy agency, the National Intelligence Service, said it could not confirm the North Korean-Iranian cooperation, citing intelligence matters. A senior South Korean official said Seoul is keeping a close eye on developments. “It’s not a matter that the government can officially confirm,” another government official said. That official added that nuclear cooperation between North Korea and Iran has not been confirmed, though the countries have cooperated on missiles. The two officials asked not to be identified, citing office policy. 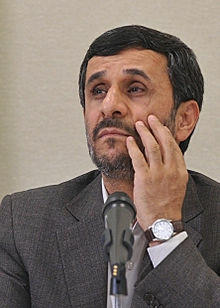 The Associated Press reported late last year that Mohammad Reza Heydari, a former Iranian diplomat in charge of airports who defected to the West earlier in 2010, said he saw many North Korean technicians repeatedly and discreetly travel to Iran between 2002 and 2007 to work on the country’s nuclear program. Arms exports have been one of the major sources of hard currency for the cash-strapped communist country. North Korea and Iran have been suspected of exchanging missile parts and technology, especially during the 1980-1988 Iran-Iraq war. In 2006, Iran’s military commander publicly acknowledged that his country had obtained Scud-B and Scud-C missiles from North Korea during the war, but no longer needs Pyongyang’s assistance. Oh, forgive me, one last word I forgot. This is an illustration of Israel trying to steer America into fighting its wars. They want to go for Iran now even though the NIS has said Iran is not developing nuclear weapons. That report kept the Bush, Cheney, Rumsfeld from going in. Would that they has waited to see that Iraq had not WMDs. Ok, now I’m done. flat5, love your diatribes. Take a look at: http://whatreallyhappened.com/WRHARTICLES/ussliberty.html. These are the Navy guys that were there. These were the guys that took the fire. It is not just one guy; it is a crew. And a Jewish pilot testified he knew it was an American ship. This is all I can offer. For me it is enough. Call it a wingnut conspiracy if you will, but I believe the guys that were there, including the Israeli pilot. You have the last wordâ€¦make that page. bobzz is just another conspiracy wingnut. The following BBC article is more evenhanded, and truth in so many situations is rather mundane. The attack, which lasted at least 40 minutes, resulted in the deaths of 34 of Mr Brummett’s fellow crewmen, at least 170 injured and catastrophic damage to the ship. Alarmingly, the assault had been carried out not by enemy forces, but by the US’ closest regional ally, Israel. “I have more trouble with it today than when it happened because I know more of the facts about what was going on,” said Mr Brummett. The attack on the Liberty – the gravest incident in the history of US-Israeli relations – has been a source of controversy for the past four decades. Israel’s supporters say the incident is merely being used as a tool by critics to malign the Jewish state, while accusers say the attack was a war crime which has never come to light. Sceptics however claim the attack was premeditated and that the truth has been suppressed. The assertion of a cover-up was lent weight by a 2003 independent commission of inquiry which reported that the attack on the Liberty “remains the only serious naval incident that has never been thoroughly investigated by Congress”. Another is that the ship had learnt of secret Israeli plans to invade Syria’s Golan Heights two days later and had to be destroyed. Perhaps the most sinister motive is that put forward by journalist Peter Hounam in his 2003 book “Operation Cyanide”. “The attack on the Liberty was pre-planned, perhaps from at least a year beforehand,” Mr Hounam says. Capt Boston says the court’s original findings, which he signed, were changed afterwards by government lawyers. However, Capt Boston’s version of events – and the notion that what happened was anything more than a tragic accident – are disputed by numerous academics and authors who have investigated the incident. “It was a series of blunders by both the United States and Israel that resulted in a terrible tragedy and nothing more,” says Jay Cristol, a federal judge and author of the book The Liberty Incident. “All the official reports came to the same conclusion. “Unfortunately there are a number of people who are on the other side of the Arab-Israeli conflict who think this is a way to attack the otherwise very strong relationship between the US and Israel, and they keep stirring the pot. “Many thousands of documents related to the Liberty have been declassified and in none of these documents will you find a scintilla of evidence to suggest any of these conspiracy theories are true,” he says. “The Golan one is the easiest to disprove because of where the Liberty was, not off the coast of Israel, but Egypt. Its listening devices weren’t that powerful that they could listen in on communications in Tel Aviv. “Moreover the Israelis were very upfront in telling the US that they planned to capture the Golan Heights and the Americans agreed to it. “Regarding a massacre of Egyptian POWs, there’s no evidence of that. And why would the Israelis try to cover up one atrocity by committing another? He says the attack has remained a source of controversy because “it has all the ingredients of a good spy scandal. It involves espionage and it involves the Israelis, who are forever a focus of conspiracy theories. The covert operation in Cairo was the Lavon Affair. I was mistaken on some of the details (that is what I get for relying solely on memory), but anyone can read about it at: http://en.wikipedia.org/wiki/Lavon_Affair. As usual this website’s love of medieval theocratic regiemes puts their collective ostrich in the sand mentality ahead of common sense. You castigate Israel, the only democracy in the Middle East for protecting itself from annhilation by 200,000,000 hostile neighbors by and large sworn to its destruction. Forget about Iran’s mass hangings, subjugation of women and children, and other abuses. The evidence of Iran’s aquisition of nuclear weapons as a goal certainly is clear. flat5, an increasing number of Americans are tiring of Israel manipulating us into fighting wars of your imagined necessity. Perhaps you recall the USS Liberty. During the 1973 war with Egypt unmarked Israeli warplanes and subs attacked the Liberty, killing roughly 73 of our sailors and injuring many others, knowing full well they were attacking an American vessel. The intent of using unmarked planes was to put the blame on Egypt and draw America into the war on Israel’s side. I forget the name of another “incident” in which Israeli operatives planted explosive devices in British and American offices in Cairo. An Egyptian guard discovered the plot before the detonations happened, but once again, Israel wanted the blame to fall of Egyptian radicals. Israel has a history of this sort of goading America to fight its wars. We have been ostriches all right, but we have been ostriches about Israel. Anyone that disagrees with Israel is automatically considered anti-Semitic, so I deny your charge of anti-Semitism in advance. That said, the current administration is embarked on a disastrous course for Israel, and America is too scared to tell you the truth. Perhaps you should acknowledge that the majority of Israelis believe “Bibi” is leading Israel down the wrong path and that the majority are not paranoid about Iran; it is mainly the leaders. I am for the preservation of Israel within the 1967 borders. Stop building settlements outside those borders, allow East Jerusalem as the Palestinian capital, and a few other adjustments, i.e., agree to a two-state solution, and peace will have its best chance. If Israel persists on its current course, it is only a matter of time until it all comes down. The majority of Israelis know this. The majority of Israelis also know the time is coming when America will be too weak to support Israel, unless we make some drastic changes. I do not know if our hubris will permit our leaders to make those changes. Only time will tell. Read the official transcripts re the USS Liberty. I’ve heard your b.s. for 40+ years. Go live in one of Israel’s medievalist enemies countries and then you’d realize reality. Official transcripts by whom? I was not there of course, but I have read some of the accounts of those sailors that were involved. Do I believe them or you who was not there? Israelis forced one of you own pilots to recant his testimony on the subject. Facts are hard to accept when they do not fit your ideology. You have the last word. go to wickopedia, click on footnote 5 which is a declassified US military document that shows miscommunication (Hebrew & English) was a major cause. BTHWY I’m an American citizen you jerk, serving in the US Army. You have to do some research into the facts, and the usual far left or far right way dictates the lazy way out by sweeping generalities rather than the reality of gray vs black/white answers. Official documents have been whitewashed. And by the way, I knew you were an American; I did think you were Jewish. But that has little to do with anything. Google USS Liberty and get the story from the guys that were there plus a lot more. Miscommunication does not account for unmarked planes attacking a well marked US ship. George Orwell must be turning over in his grave. How about a little link love for Moon of Alabama? Great work, Gareth, keep up the good fight. Mark: Do you mean the Kurt Weill song from Mahagonny? What’s the application here? I’m sympathetic, but I can use some guidance. Thank ye.